Due to a sudden illness, our story on judicial corruption benefiting Sachs & Romney’s “Bankruptcy Rings” has been delayed (coming real soon). It looks like the delay is somewhat fortuitous; because Senators Elizabeth Warren & John Cornyn introduced a Bill of Law S.2282, on Monday, January 8, 2018; which seeks to close a loophole some say has fostered corruption. “Many American companies, large and small, choose to incorporate in Delaware because of the expertise and experience of our judges, attorneys, and business leaders. Denying American businesses the ability to file for bankruptcy in the courts of their choice would not only hurt Delaware’s economy but also hurt businesses of all sizes and the national economy as a whole. This is a misguided policy, and we strongly oppose it,” Governor Carney and Delaware’s Congressional Delegation said in a joint statement. “Our economy thrives when the bankruptcy system is fair, predictable, and efficient. Experienced bankruptcy judges are critical to ensuring that companies can restructure in a way that saves jobs and preserves value. Scrapping the venue laws that have been in place for decades and replacing them with restrictions flies in the face of well-settled principles of corporate law, threatens jobs, and hurts our economy,” they added. However, the ultimate question is what does President Trump think and does he care about what goes on in Delaware? Will Donald the Great (Destroyer) quash the loophole? If the loophole is closed, Delaware law firms will likely lose a billion dollars a year in fees. However, the more important question is, will the Senators Bankruptcy Forum Bill cause Delaware to lose its corporate dominance stays; subsequently, as a result, could this cause Delaware to go bankrupt? Our series on Wall Street fraud, protected by corruption, comes from the eToys case whistleblower(Laser Haas) who claims the entire Delaware system of justice, including the federal courts, is infested with tax paid federal servants betraying their oath of office and in turn the public’s trust. Giving credence to Laser’ s contentions, are UCLA Law Professor Lynn LoPucki’s book “Courting Failure”; which reported on the corruption of our courts (especially Delaware & NY), due to large fee bankruptcy cases. In 2005 the eToys whistleblower caused Paul Traub and Delaware’s MNAT law firm, to confess failures to disclose their conflicts of interest; but the Delaware courts and Department of Justice refused to investigate or prosecute the perpetrators. “Corporate debtors are able to pick venues that are likely to rule in their favor”. Laser blew the whistle in eToys, Kay Bee and other cases; but – despite confessions – Delaware courts & federal agencies personnel, continuously found in favor of the perpetrators. Speciously, each and every time the parties finding favorable outcomes were Goldman Sachs, Bain Capital and their crooked Delaware lawyers. It was also pointed out, in Senator Cornyn’s “They Owe Us” article, the fact that UCLA Law Professor LoPucki and Elizabeth Warren fought to stop these schemes and how they resulted in over 50% of bankruptcy cases failing. As a matter of fact, Romney’s Kay Bee and eToys were in bankruptcy, multiple times, winding back at Bain Capital, under Toys R Us; which is now, also, in bankruptcy. Thing is, the purported reasons companies form, in Delaware, is due to low corporate taxes; but this corporate dominance issue has come under scrutiny, also. Actually, in many cases, the argument of less taxation has little merit; because – most states – still tax companies for doing business in their venue. 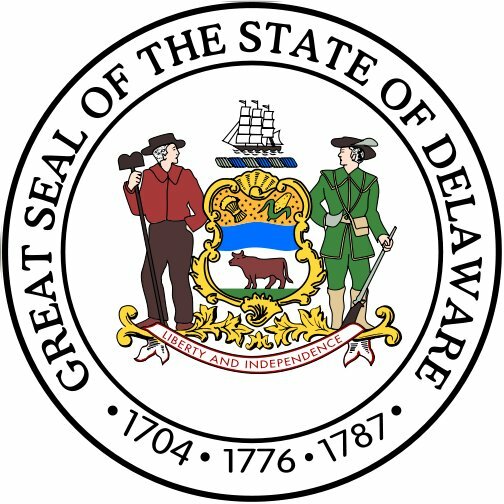 Delaware, a state built on no sales tax, reportedly gets 80% of its revenues from the “low” business tax; and its law firms relies, heavily, on the factor of 50% of most major business bankruptcies are – venue shopped – to Delaware. With this new legislation closing that loophole, then there is a question about, whether or not, Delaware will remain solvent. Most assuredly, the bankruptcy lobby of Delaware lawyers is likely to take a huge hit if this bill passes. Former USAG John Ashcroft is also upon the public record remarking that there are corrupt federal judges in collusion with high ranking members of the system of justice keeping bankruptcy cases open and retaliating against victim/ witnesses (please see previously hidden remarks now posted upon the U.S Courts. Gov website – here). According to eToys whistleblower Laser Haas, Delaware can thank wicked Bankruptcy Judge Mary F. Walrath, many stalwarts in the Federal system of justice (such as AUSA Ellen Slights, trial attorney Mark Kenney), along with former Delaware federal prosecutor Colm Connolly, who aided & abetted rogue lawyers Paul Traub, Frederick Rosner, and MNAT firm, who all worked, crookedly, to protect Goldman Sachs & Bain Capital racketeering billions of dollars in unjust profits. Victims of Kay Bee, Mattel, Fingerhut and eToys frauds and many more are hoping the corruption of venue shopping, is now at an end. The @OriginalWorks bot has determined this post by @an0nkn0wledge to be original material and upvoted it!